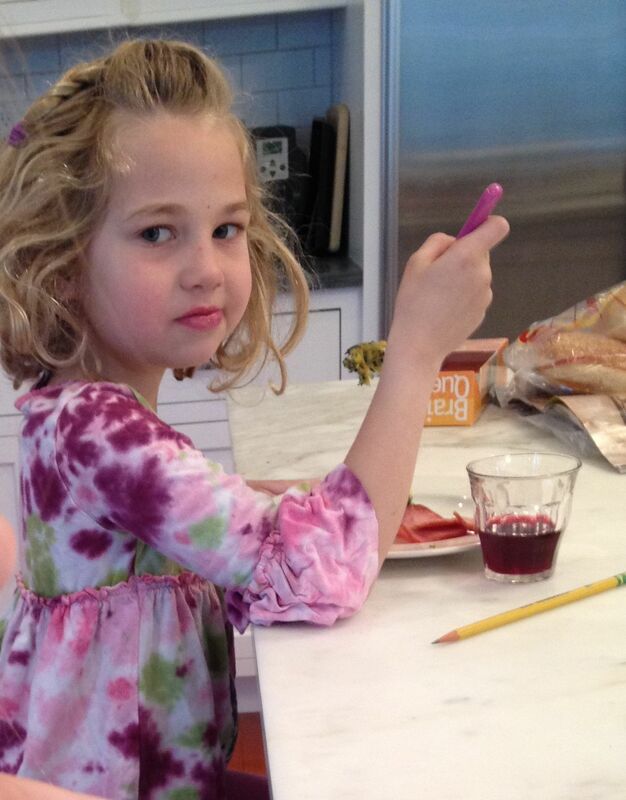 Sophie: I do not like Green Eggs and Ham. Mom: Try them, try them – I’ve got the cam. 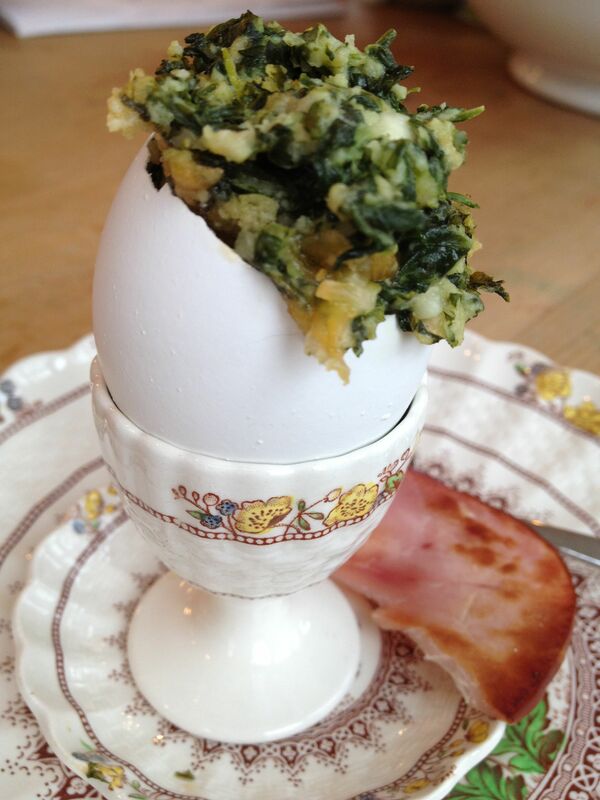 Dr. Seuss’s birthday is getting a lot of play this year (thanks to “The Lorax” release today), so I expect there will be quite a few green eggs and ham on breakfast menus this weekend. 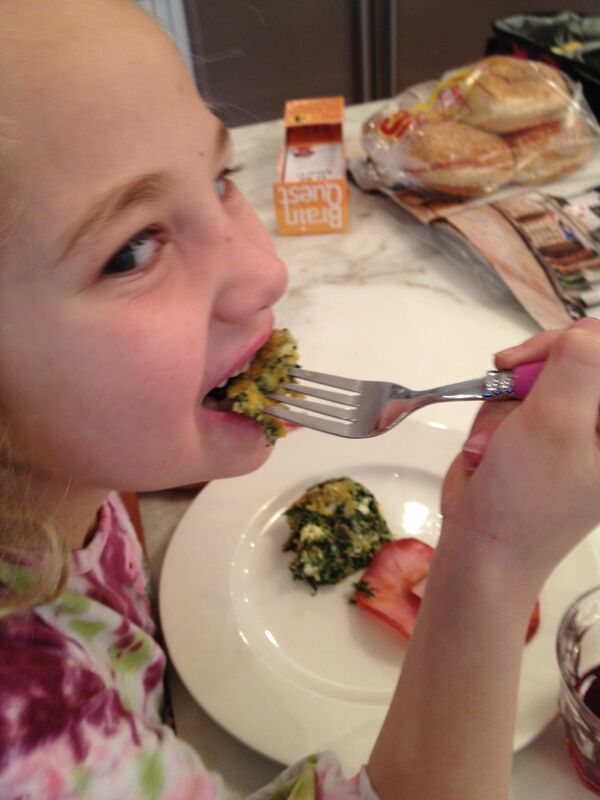 Food coloring’s one way to go, but this morning I thought I’d capitalize on all the marketing to help sneak some spinach into my kids’ diet. 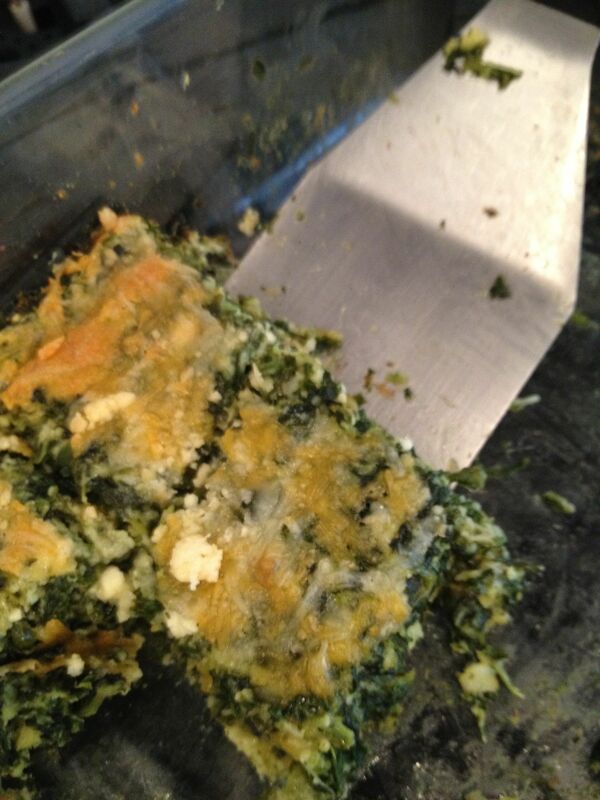 Auntie Jo’s famous spinach frittata was the perfect, all-natural Green Eggs vehicle. It also happens to be a great lunch, brunch or open house dish, because it can be served hot, cold or at room temperature. 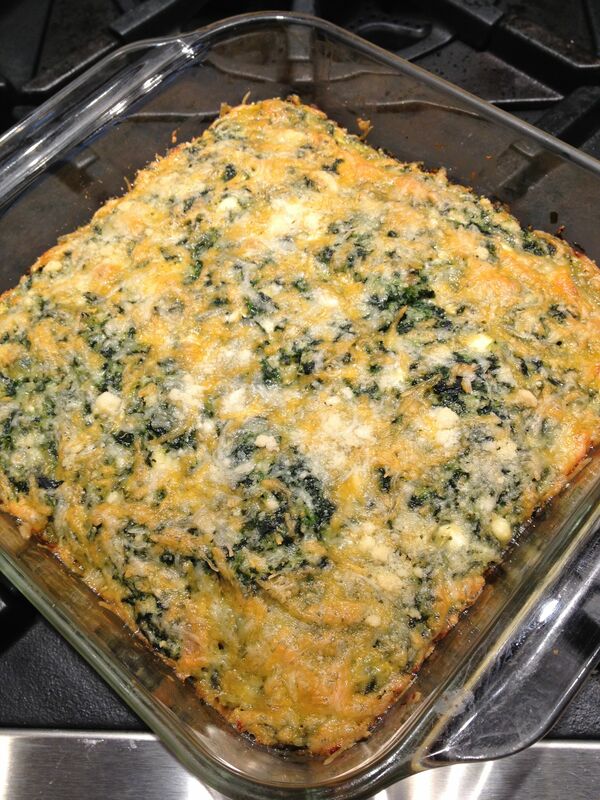 This recipe is sort of a hybrid between a frittata (open-faced omelette) and a strata (casserole made with bread & eggs); I think it’s easier to make than both. 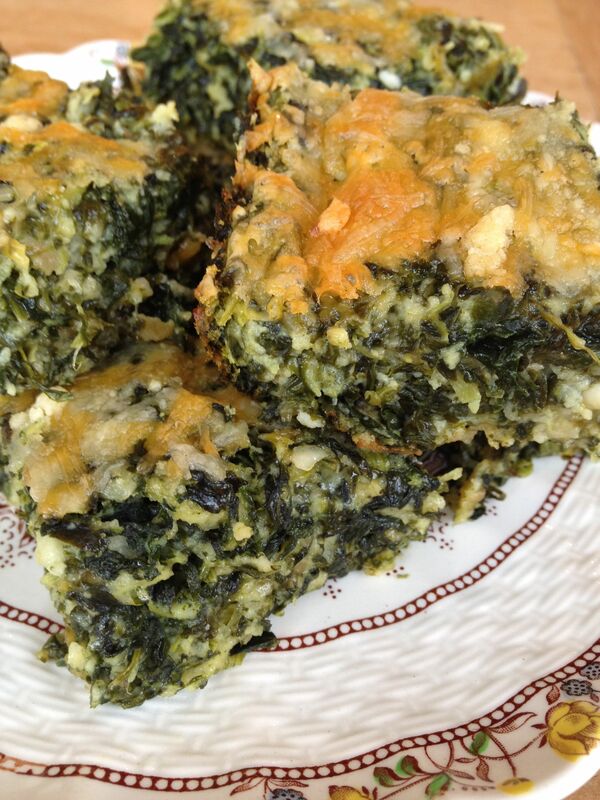 Auntie Jo’s frittatas always seem to taste a little better than mine – most likely because recipes that are passed along from person to person sometimes suffer from the “telephone game” fate. (That, or she has accidentally omitted a secret ingredient . 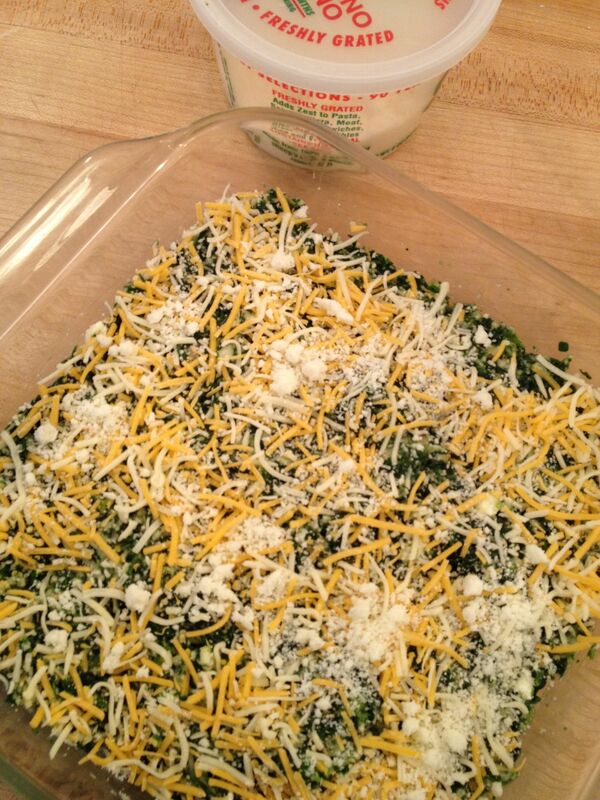 . . ) Nonetheless, this is an easy and tasty recipe worth trying. Heat oven to 350ºF. 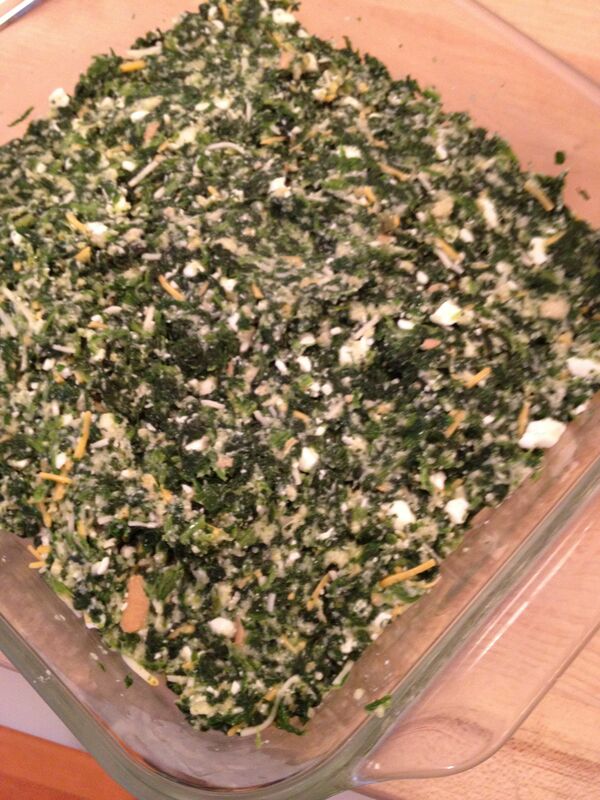 Squeeze most of the water out of the thawed spinach. 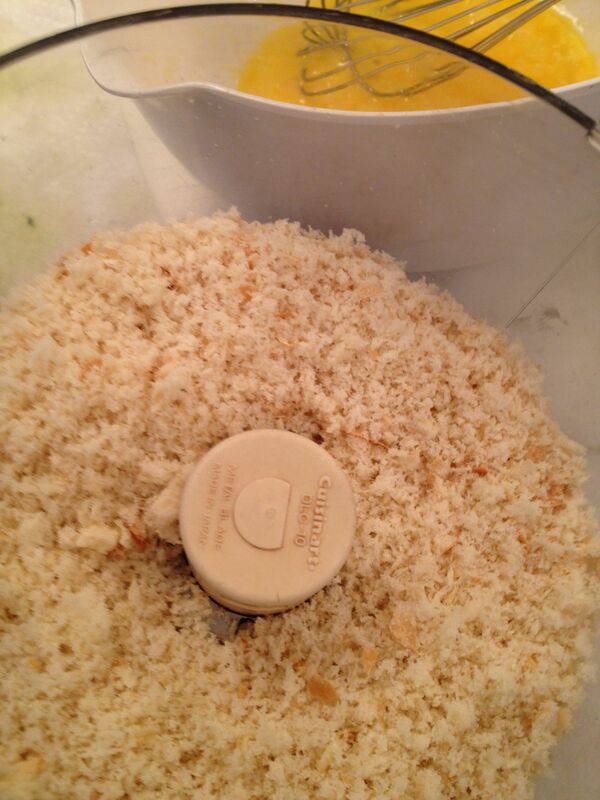 Pulse bread slices in a food processor, or tear into small pieces. 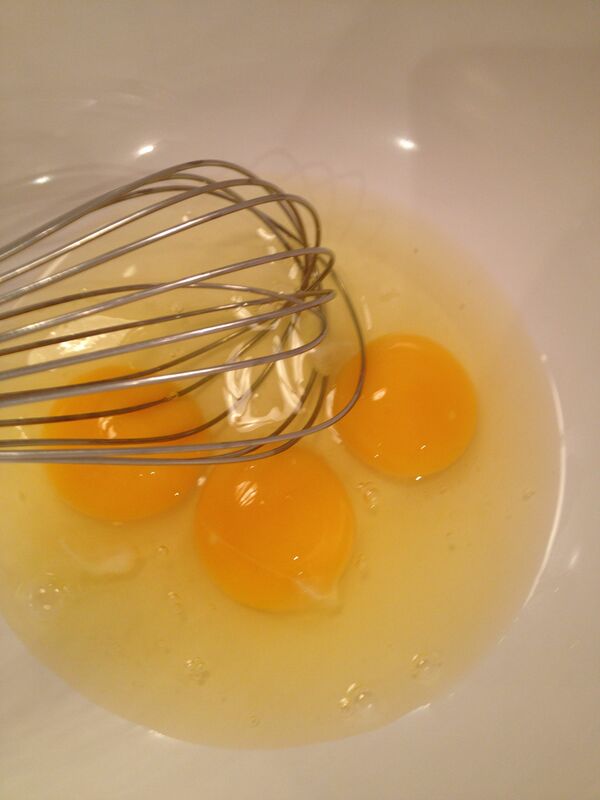 In a mixing bowl, beat 3 eggs. 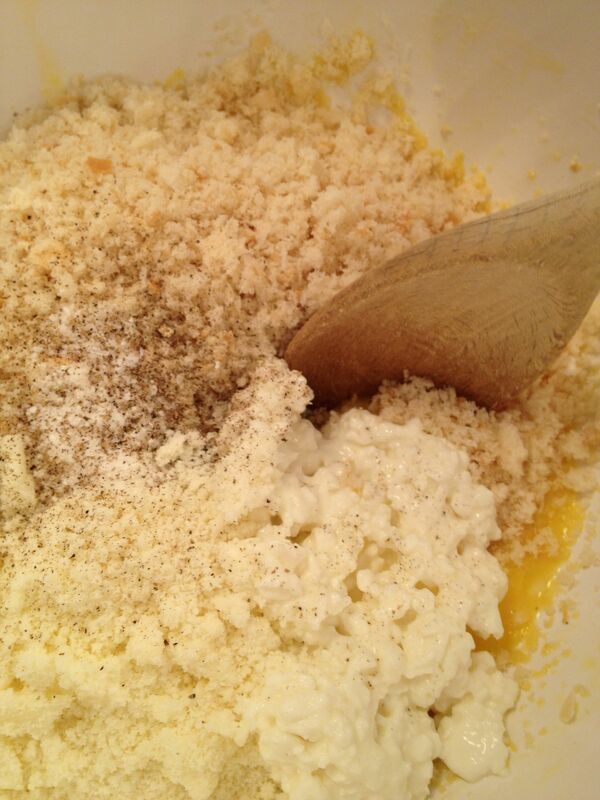 Stir in breadcrumbs, cheeses, salt and pepper. Bake for 40-45 minutes. Let cool a few minutes before cutting into squares or shapes. 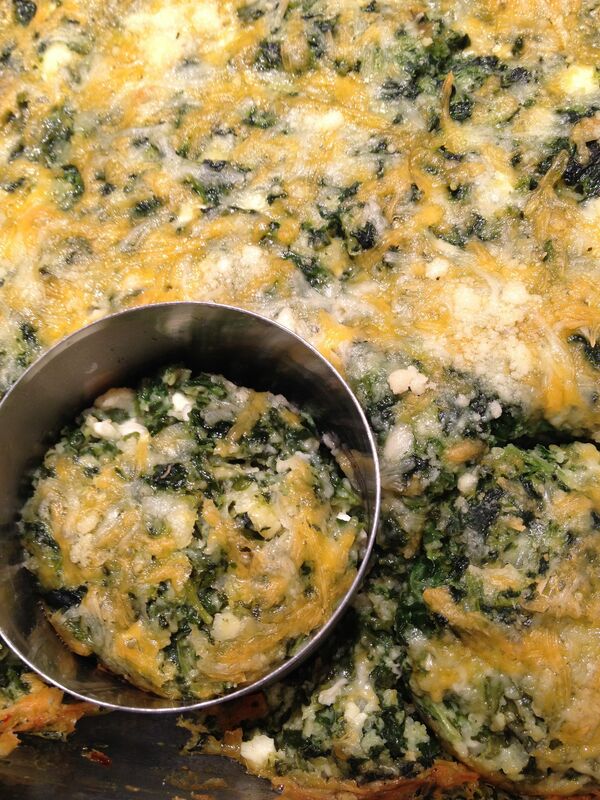 Serves 4 for a main course or 8-10 as an appetizer or side dish. Can be refrigerated for several days. 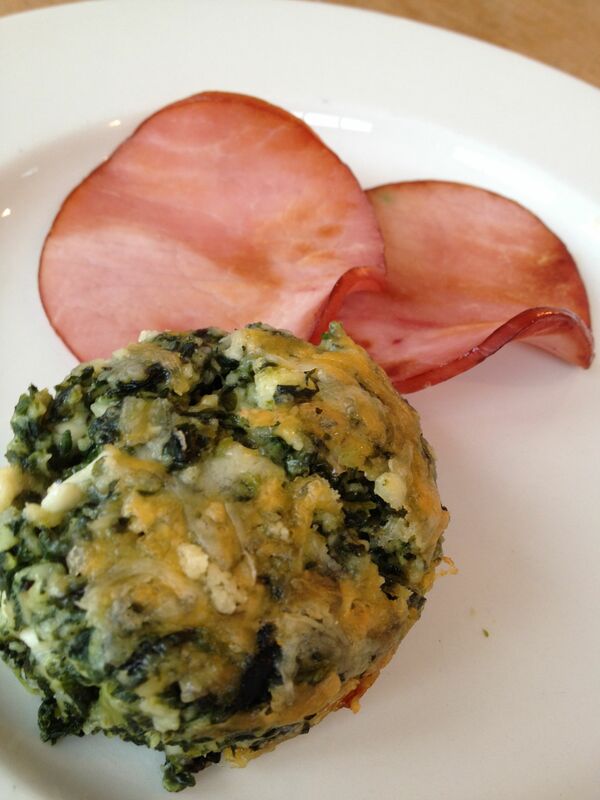 This entry was posted in Appetizers, Breakfast, Holidays, Vegetables and tagged brunch, Canadian bacon, frittata, green eggs, spanakopita, spinach by subeeskitchen. Bookmark the permalink. 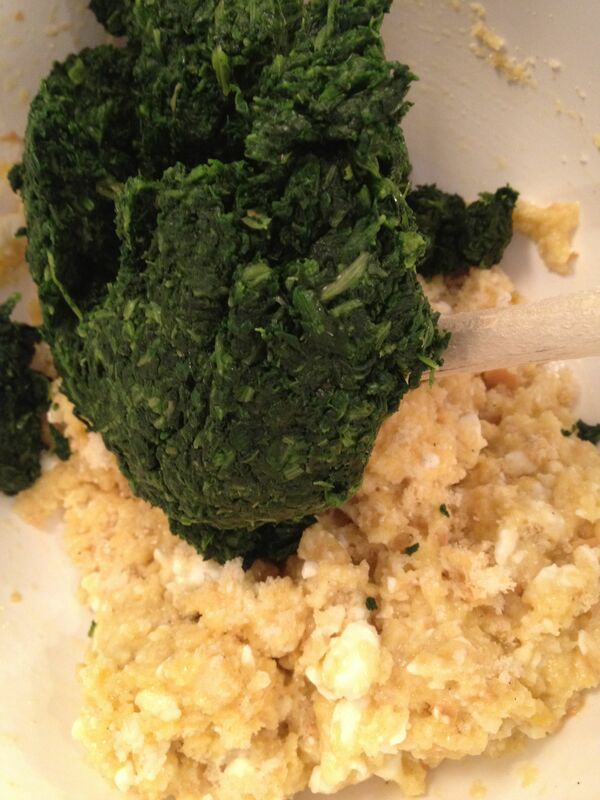 Hi Jodi- We should compare more family recipes sometime!Do you ever use kasseri? Hard to find here in NJ. I have kasseri in my fridge as we speak (my mother in law brought me some last week). There is a great Greek specialty store in Kenilworth where you can find it there all the time, as well as other Greek delicacies – let me know and we can take a road trip! This is our favorite recipe! We make it all the time! :)) Great presentation.